Rugged construction meets stylish details in The North Face Women's Horizon Sunnyside Short for summer-time trekkers and travellers. 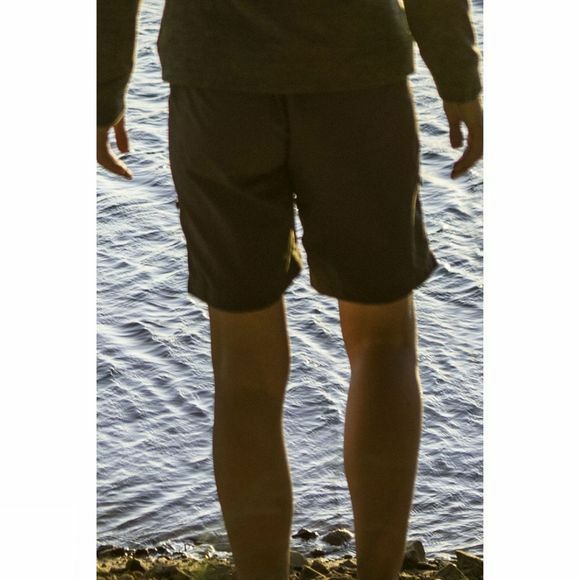 The shorts feature our top-notch nylon ripstop fabric, specially selected for its resistance to abrasion and ease of care, while travel-savvy features include an internal passport pocket and a gusset at the crotch for freedom of motion. There's an Ultraviolet Protection Factor of 5 too, plus a variety of other secure pockets and a stylish chunky drawstring at the front. 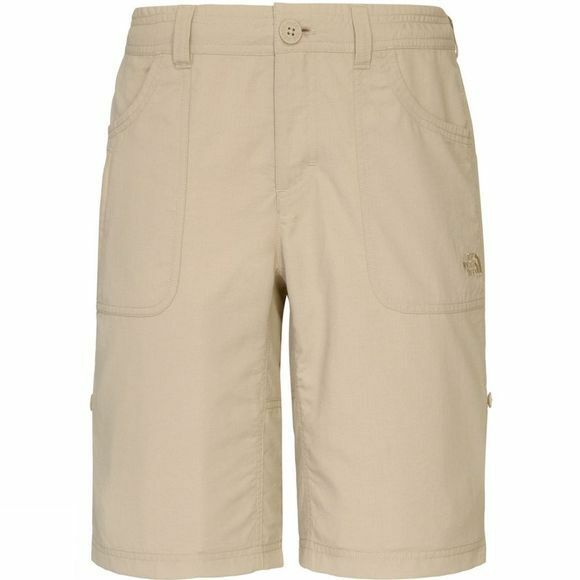 Roll-up tabs on The North Face Women's Horizon Sunnyside Short add to the flexibility by converting it from an above-knee to shorter 17 cm short as the mood takes you.